Happy National Library Week! 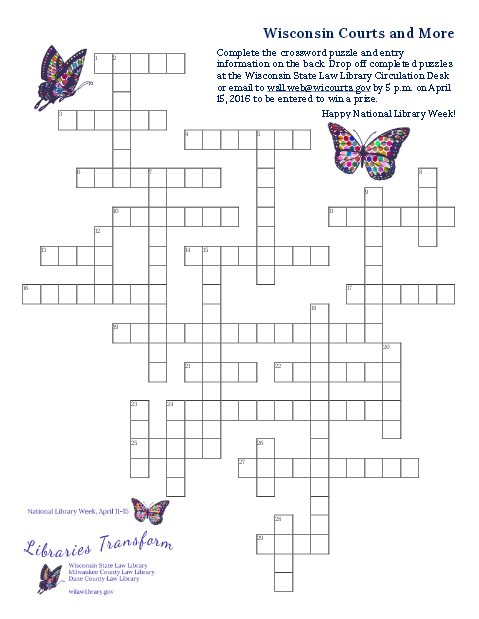 Download our crossword puzzle, Wisconsin Courts & More, or pick up a copy at the Wisconsin State Law Library circulation desk. Return completed crossword puzzles to the library by 5 p.m. on Friday, April 15 to enter for a chance to win one of three prizes.